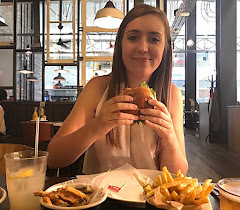 In celebration of Deliveroo Derby's launch today, I thought I'd do a post to give you all a little insight to what it is and what they do. 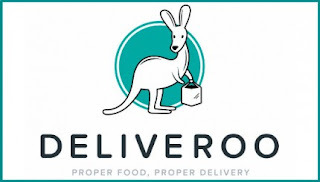 If you don't know what Deliveroo is, it's basically a food delivery company who bring you the food from your favourite restaurant directly to your home, work, hotel or wherever you are pretty much. They launched in London in 2013 and since then, Deliveroo now operate all over the UK and Europe with plans to expand globally! All you have to do is go online www.deliveroo.co.uk and enter your postcode (for the Derby service in particular, you need to live within a 2.6km radius) and when you want your food to be delivered. You can also order up to one day in advance. Once your postcode is in, a list of restaurants that you can order from appears. At the moment in Derby, you can order from places like The Forge, Anoki, Ask Italian, HIDE Burger Bar and more! A really nice mix of cuisines. As Deliveroo becomes more and more popular in Derby, the list will continue to increase. There may be some items that are not available to order for delivery which you can get in the restaurant itself, this is only because it doesn't travel very well. When your order has been placed, their fleet of drivers who have been waiting in the zone get to work by travelling over to the restaurant, then heading straight for you. On average, it takes about 32 mins altogether. You don't need to worry about having cash on you either, as it is all paid for on card. Note that the delivery charge is £2.50 and minimum order is £15. Deliveroo operates 12pm-11pm every day of the week with a customer service team who are available 9am-12am and are always there to help. So, why not give it a try!? Unfortunately, I live outside of the radius zone and can't get delivery to my house... hopefully one day! But if I'm in the area, I'll definitely be giving it a go.